BRUSELLS - On Tuesday, the Romanian PM Viorica Dancila started a two day visit to Brussels, where she is to meet with several EU officials. Together with the European Council President Donald Tusk and the EC President Jean-Claude Juncker, Viorica Dancila will preside on Wednesday the Tripartite Social Summit. The summit, whose main theme is "For a stronger, united and forward-looking Europe", focuses on economic growth and employment, a field in which, according to the Romanian PM, the Romanian presidency of the Council of the EU has made sustained efforts and has managed to finalize negotiations with the European Parliament on most legislative files. On Thursday, also in Brussels, the Romanian Prime Minister will open a debate on what Europe means to its citizens. DETENTION - The European Committee for the Prevention of Torture (CPT) has voiced concern with what it called the abuse and improper conditions still to be found in Romanian detention centers. In a release made public on Tuesday following a visit to 10 detention facilities this February, CPT members point to cases of physical ill-treatment by prison personnel and police on detainees as well as violence among detainees.  They urge the Interior Ministry and the Romanian Police Inspectorate General to send a clear message that ill-treatment of detained individuals is illegal, unprofessional and will be punished accordingly. The CPT appreciates the efforts made since 2014 to reform the penitentiary system in Romania, particularly in terms of the development of the parole service, a 30% reduction of prison population and the introduction of compensations for those detained in overcrowded prisons. EPPO - The first round of negotiations between the European Parliament and the Council of the EU on the appointment of the new European chief prosecutor are held on Wednesday. Romania's former anti-corruption chief Laura Codruţa Kövesi is one of the candidates for this post. In case the negotiation teams fail to reach an agreement on Wednesday, further rounds will be held on March 27, April 4 and 10. The head of the European Parliament Antonio Tajani has recently sent the Romanian minister delegate for European Affairs George Ciamba, the incumbent chairman of the Council of the EU, the official letter announcing Laura Codruţa Kövesi as the European Parliament's candidate for the chief of the European Public Prosecutor's Office. The Council of the EU on the other hand supports Jean-Francois Bohnert, of France. The EPPO, set to be up and running by end-2020, will be an independent body in charge of investigating and prosecuting crimes against the EU budget. The European chief prosecutor has a non-renewable 7-year term in office. BREXIT - Several contingency measures, aimed at diminishing the potential negative effects of a no-deal Brexit were adopted on Tuesday, at the General Affairs Council meeting in Brussels, presided by the Romanian Minister Delegate for European Affairs George Ciamba. The adopted legislative acts are preparing the EU and the European citizens for the situation in which there will be no deal valid on March 29th, when the UK is planned to leave the EU. The British PM Theresa May is to send the president of the European Council Donald Tusk a letter, requesting a postponement of Brexit, a government spokesperson has stated. The announcement was made after Theresa May held talks with the Cabinet in an emergency session. The House of Commons has rejected twice the agreement on Brexit negotiated with Brussels. According to the BBC, Theresa May will ask the EU leaders to postpone Brexit until the end of June, with the option of a longer delay, up to two years. The European leaders must voice their stand on any postponement at the summit due on March 21st - 22nd. SOCIAL - EU-wide expenditure for social protection amounted to 2,890 billion euro in 2017, accounting for 18.8% of the GDP and for 41.1% of the total government spending, the European statistics bureau Eurostat announced on Tuesday. Pension benefits accounted for 10% of the Union's GDP. Social protection spending was below 13% of GDP in Ireland, Lithuania, Malta, Latvia, Romania, the Czech Republic and Bulgaria, whereas 6 member states-Finland, France, Denmark, Italy, Austria and Sweden-allotted at least 20% of their GDP to this area. AWARDS - Odeon Theatre in Bucharest hosted last night the 19th edition of the Radio Romania Culture Awards Gala. The event rewarded the most important achievements in Romanian culture last year. Recipients included writer Gabriela Adameşteanu, stage director Radu Afrim, and screenplay writer Ivana Mladenović. "Teach for Romania" Association won the section on education, for projects conducted in schools in underprivileged communities. A lifetime achievement award also went to pianist Valentin Gheorghiu. VOLLEYBALL - The Romanian women's volleyball team CSM Alba Blaj has been defeated 3-nil by the Italian side Yamamay e-work Busto Arsizio, in the first leg of the CEV Cup finals. The second leg is scheduled for next week in Italy. In the semis the Romanians beat their co-nationals of Ştiinţa Bacău (3-nil in both legs), and the Italians outplayed the Hungarian team Swietelsky Bekescsaba. Last year, Alba lost the Champions League finals to the Turkish side VakifBank Istanbul.